Our award-winning interiorscapes beautify Office Buildings, Professional Offices, Shopping Centers, Businesses, Hospitals, Hotels, Airports, Country Clubs, Luxury Hi-Rise Condominiums, and Residences throughout Florida. Living Green Walls are vertical gardens that offer a variety of decorating solutions. 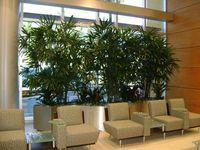 From small, containerized gardens to wall art, Botanica Interior Plant Services is at the forefront of this revolutionary trend. 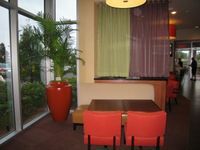 Learn more about creating buzz for your business with an intriguing indoor landscape customized just for you. 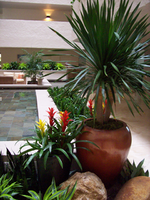 Botanica Interior Plant Services provides exceptional service to customers on the Florida Gold Coast including Palm Beach, Delray Beach, Boca Raton, Pompano, Fort Lauderdale, Highland Beach and surrounding areas of Miami. Green and colorful live plants add the finishing touch to parties and special events such as Weddings, Birthday Parties, Anniversaries, Bar/Bat Mitzvahs, Celebrations of Life/ Funerals, Conventions, Trade Shows, Street Fairs & Festivals, Charitable Events, and more. Year after year loyal customers count on us to set the mood with our extraordinary Holiday Decoration Service. Smart managers thank us for making them look great. We deliver exquisite, high quality Christmas Trees, wreaths, whimsical accessories, Chanukah (Hanukkah) and Kwanzaa displays for the season. We then take it all away leaving nothing but a happy memory. No mess. No storage. Done. 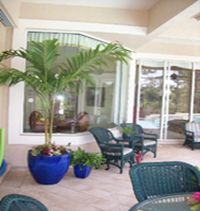 Live plants are the ORIGINAL GREEN product offering beauty, comfort, and proven health benefits.